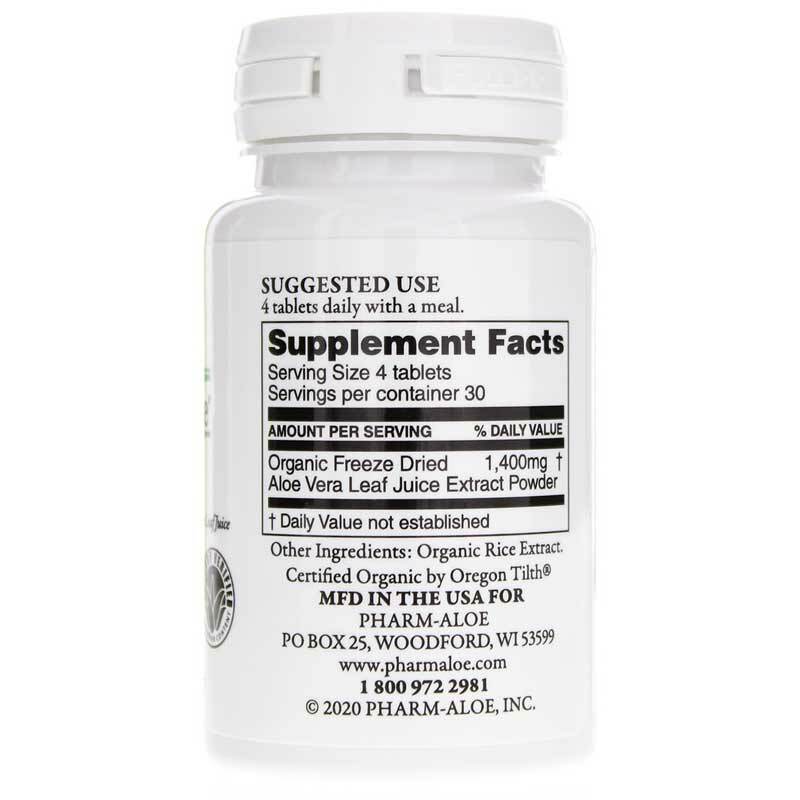 Freeze Dried Aloe Vera leaf Juice from Pharm-Aloe is a aloe supplement that is independent laboratory tested to guarantee the highest quality and purity. Liquid Aloe Vera Leaf Juice as it comes from the aloe plant is approximately 98.5% water and 1.5% solids. The solids contain all of the active ingredients, such as: polysaccharides, glycoproteins, amino acids, vitamins and enzymes. By freeze drying Pharm Aloe removed the naturally occurring water leaving all of the active ingredients in the solids. 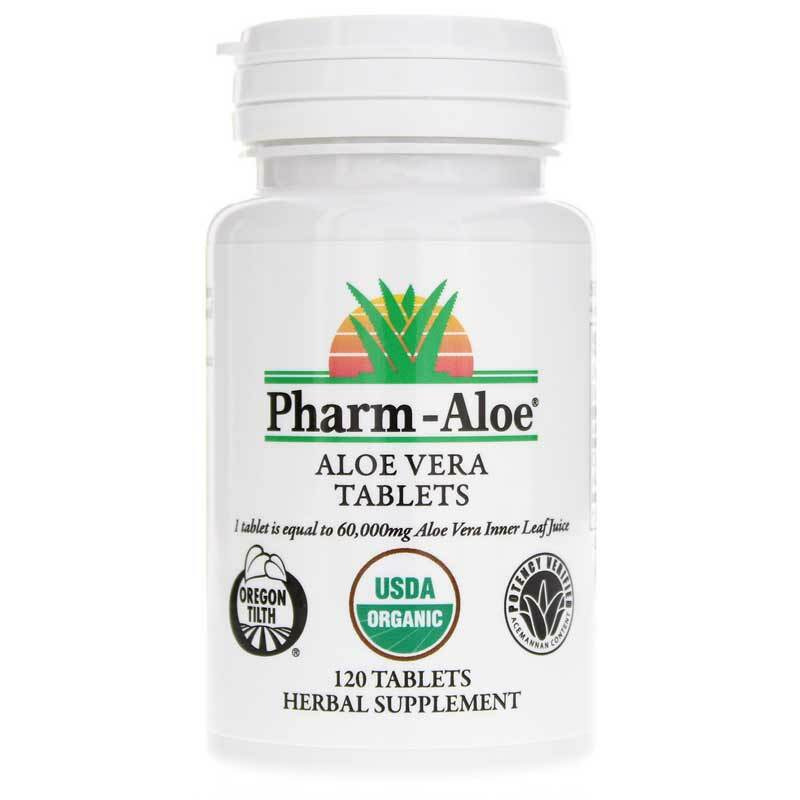 Pharm Aloe then encapsulate the Aloe Vera Leaf Juice at a rate of 450 mg per capsule which is equivalent to 2 fluid ounces of their Pharm-Aloe 99.7 Aloe Vera Leaf Juice. If for any reason you are unable to use the liquid Aloe Vera Leaf Juice, you now have a product that is efficacious, palatable, and easy to use. Other Ingredients: magnesium stearate, hypromellose. Adults: As a dietary supplement, take 2 capsules daily with a meal and 8 ounces of water. Fantastic! Better than vitamin c for keeping colds away! I have been taking this product for at least 3 years.<br>I have no more nagging hip pain which I used to take ibuprofen for. 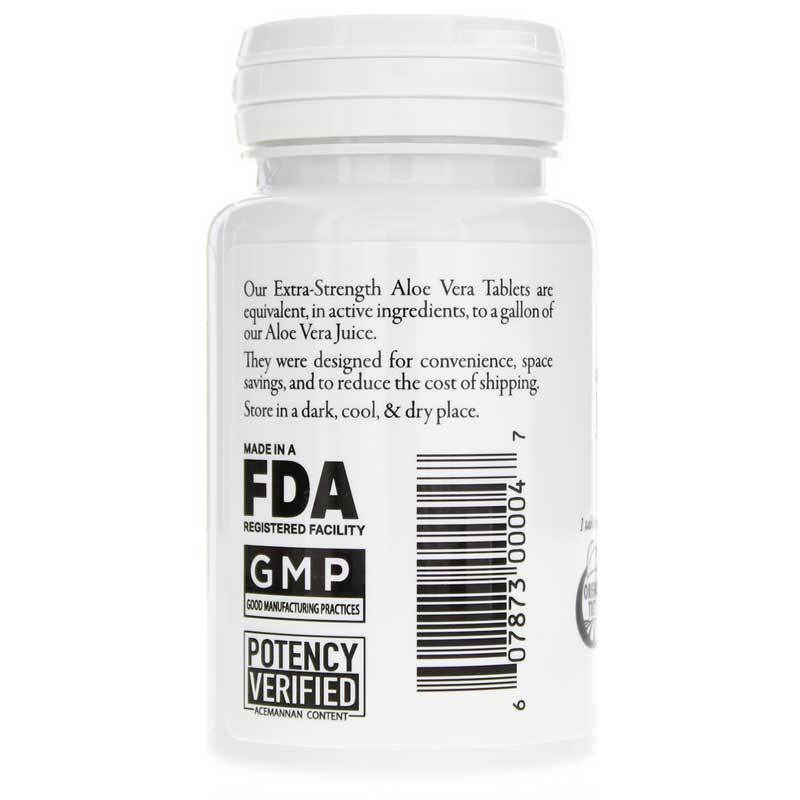 <br>I will not stop taking this supplement, only increase the daily quantity as time goes by.